The Gold Coast’s skyscrapers catch the setting sun. It’s been a gaudy pillar of the Australian beach scene for decades, but the Gold Coast is embracing a newfound confidence and cool, and is completely comfortable with itself. Words by Lara Picone. In my mind, the Gold Coast is set to the soundtrack of an upbeat synthesiser. I’m nostalgic for its quasi-Californian vibe that seemed to have inspired the city in the ’80s and early ’90s. The Gold Coast of that era conjures images of high-cut swimsuits, blonde perms and holiday apartments with names like ‘Key Largo’, and ‘Bel Air’. It’s always reminded me of a cop movie set in Venice Beach, starring someone like Steven Seagal. The type where the hero wears a floral print shirt and the bad guys are easily identifiable by their leather jackets and gold chains in mid-summer. For others, the Gold Coast is simply the place of theme parks, buffet dinners and crimes against architecture. In reality, the Gold Coast is none of the above. Of course, it didn’t always have a reputation for the unashamedly gaudy, although it was a popular spot for seaside respite as far back as the 1940s. It wasn’t until 1958 that it was officially dubbed Gold Coast Town Council after the local council took a shine to the promo-friendly name. From there, things amped up with the development of holiday apartments, motels and shopping strips flourishing between Southport and Coolangatta. The early to mid-’80s saw Japanese investment create a huge surge in development, which, among other things, furnished the city with an over-abundance of golf courses. Today, the Gold Coast City stretches along 57 kilometres of coastline from Beenleigh right down to border town Coolangatta, and while decades of investors have come and gone, not always changing the skyline for the better, the city is still a place of bronzed beach babes, good surf, and stunning natural assets. The reasons that attracted both holidaymakers and investors are still as relevant as ever. Right now, the city is preparing to welcome an additional influx of visitors to its usual 12 million annually as host of the Commonwealth Games in 2018. The GC is getting spiffed up for the occasion with a $13.5 billion investment in infrastructure. There’s already a handy new tram line, iconic Jupiters Casino is going under the knife, and supermall Pacific Fair has just opened a new wing full of high-end brands. It’s almost more resort than shopping centre – even the cleaners look as though they work in a theme park and might burst into unified dance at any moment. So what can visitors to the Games expect from our city of skyscrapers and sand? Is it simply an upgrade of more of the same? Can it break free from perceptions of all glitz no glamour and just be cool? Judging by the Games’ mascot, a blue surf lifesaving koala called Borobi, the answer is a resounding no. But, misconceived mascots aside, there was a sneaking suspicion something was beginning to beat as loud as the nightclubs of Cavill Avenue, so I went to check it out. I wasn’t really expecting to find a cool, laid-back city, but I absolutely did. 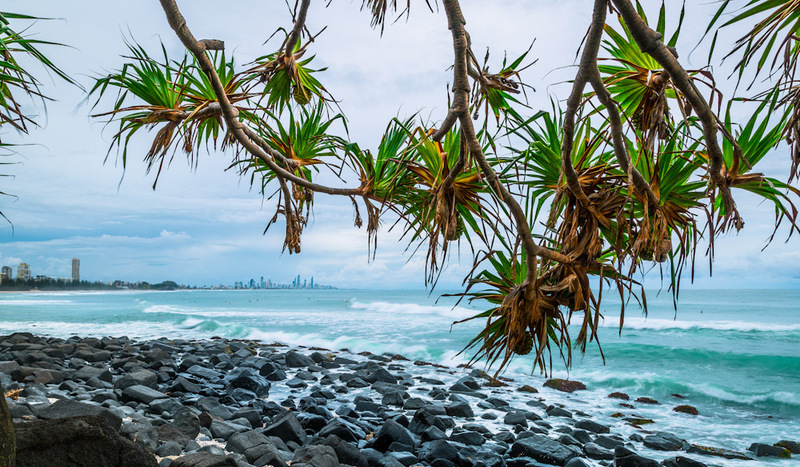 While this fresh new energy is coursing up the artery that is the Gold Coast Highway and diverting into each suburb, the beating heart of change is undoubtedly in Burleigh Heads. With its beachside esplanade lined with Norfolk pines rather than high-rises, Burleigh has always had more of an endless summer appeal than the other city beaches. If I dare to compare, it does feel a little bit Byron Bay. 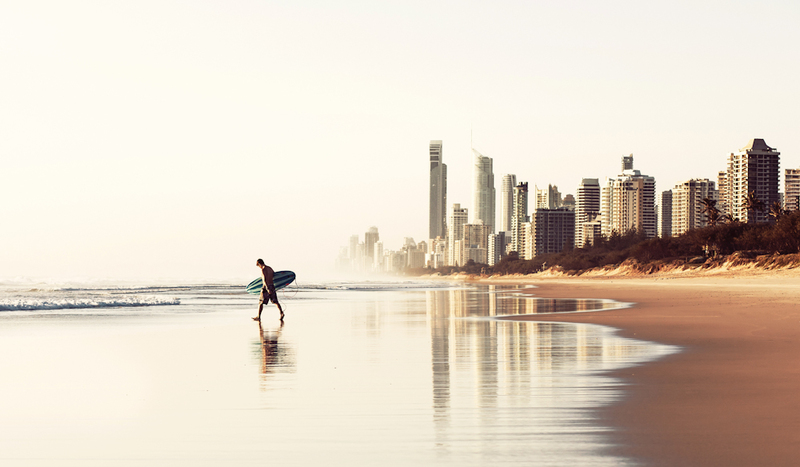 Yet with your toes in the sand pointing north, the impressive Surfers Paradise skyline shimmering across the ocean leaves you in no doubt you’re on the Gold Coast. But it’s what’s happening behind the beach that has us excited. Burleigh is filling up with cool eateries, boutiques you actually want to spend money in, and decidedly un-Gold Coast bars. That’s not to say Gold Coast bars aren’t great, but these are different, for when you’re not in the mood for vodka shooters and gold platforms. If you were to spend a perfect weekend here on the GC, you might make Burleigh Heads your base, so you can wake up across from the beach and join the locals for the first swim of the day. You’d then head to Nook Espresso to grab a takeaway coffee and watch the surfers from The Esplanade or John Laws Park. Nook Espresso, as its name belies, is basically a window through which some chilled out lads are pulling a seriously good grind. “This is a cool spot,” I remark, feeling content with the warm sun, sparkling waves and good-and-proper latte. That’s different. Unlike bigger cities where it seems everyone is desperately striving to out-hip each other, these guys just want to do something good. I thought it might’ve been an exception, but as the day continues, I meet more and more people doing excellent things and having the best time doing so. I spend hours chatting to staff on James Street where the vibe is relaxed, inviting and as chic as any Bondi boutique. By lunchtime, as I tuck into a fragrant chicken curry at the Hamptons-chic Rick Shores and watch the waves lap the rocks just metres away, I’ve become such a Burleigh convert that I text my husband to tell him we could definitely live here one day. I don’t get a reply. Undiscouraged, I carry on with my day. I opt for another caffeine hit at the hip-hop vibing Borough Barista after a stroll further north along The Esplanade. But spending a sun-drenched afternoon on the rooftop of pizza-pasta bar mash-up Justin Lane is also a wholly worthwhile way to see out the day. Laid-back, lively and free from pretension, the casual, mostly white interiors accented with neon and marble is everything you want an effortlessly chilled beachside venue to be. 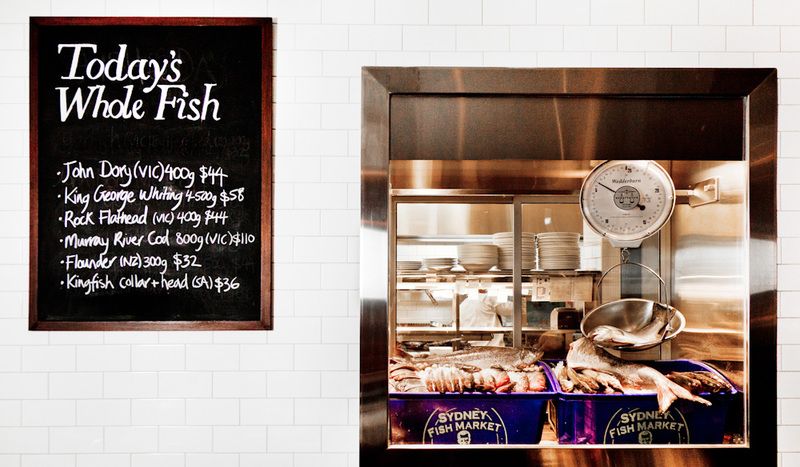 Burleigh also does laid-back luxe well in the fine dining restaurant The Fish House. Receiving two deliveries of just-caught fish a day, the restaurant attentively prepares the catch for diners without overwhelming the purity of the flavours. With an award-winning (but expensive) wine list to match and the beach just across the road, you can spend serious hours gazing at twinkling Surfers Paradise while you muse over the delicate southern European flavours. Yet it’s certainly not just Burleigh Heads that deserves attention. Head north and you will find pockets of cool clinging to both sides of the Gold Coast Highway and spreading into the streets behind, everything from cafes to hipster barbers and beautifully curated stores. This new incarnation of the Goldie is like a hidden root system that randomly breaks the surface to bloom in unexpected locations. 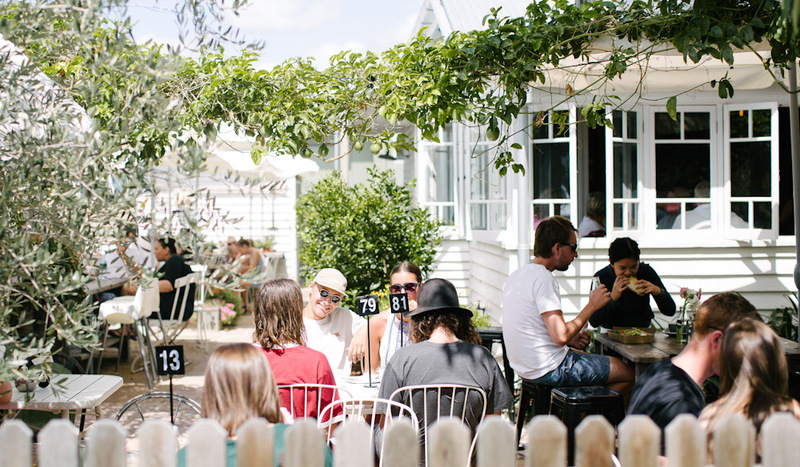 I discover a gorgeous cottage housing a hot brunch-to-lunch spot, The Paddock Bakery, where punters linger over lattes and flaky croissants in an adorable garden. The 100-year-old building was tenderly restored by owners Ben and Ursula Watts over a nine-month period. 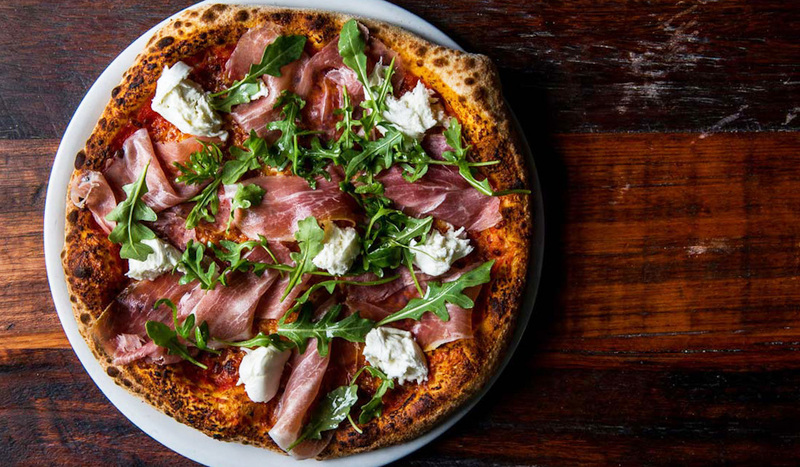 So loved by locals is this two-and-a-half-year-old eatery that the couple opened a second, equally frequented haunt Bam Bam Bakehouse last November in Mermaid Beach. With sugar dustings from the softest doughnut still lingering on my lips, I scoot up to Broadbeach to check out Pacific Fair and lose myself in a veritable fashionista’s playground. With flagship stores that not even Sydney can boast and public spaces reminiscent of a cruise ship, complete with relaxation pods and water features, I have to keep reminding myself I am actually on the Gold Coast and not afloat in the Pacific. Centre manager Brett Clarke is rightfully chuffed as he leads me through the new wing, “When we revealed the ‘resort’ to our staff, they couldn’t believe it. Some even cried. They are proud this is in their city and they are part of it.” Perhaps they might burst into dance after all. Next stop, Surfers Paradise, where a bunch of innovative entrepreneurs has turned an old bus terminal into a stylish mixed-use precinct called The 4217. Inside you’ll find the prettiest tea bar, Cha, with fragrant blends lining the walls and soothing pink and copper interiors. For something more caffeinated there’s Paradox Coffee Roasters, all industrial, black and warm brickwork, and serving delicious meals. Hip deli franchise Salt Meats Cheese has also set up shop at the beach end of the terminal, separated from Paradox by some chic homewares and fashion boutiques. It’s another great public space designed with the Gold Coast lifestyle in mind. A lifestyle that is borne from a city flanked from top-to-toe by golden beaches, a constant reminder that for all our ambitions, enjoyment of the simple things is equally important. Driving back to Burleigh through Miami and Mermaid Beach, it becomes obvious: the Gold Coast is cool precisely because it’s no longer pretending to be something it’s not. It’s embracing its past incarnation in a way that builds on the future. It isn’t trying to be Florida or California anymore (‘Hollywood on the Gold Coast’ an exception), and it certainly doesn’t want to be Melbourne or Sydney. It loves being the Gold Coast and it understands that Australia wants it to be itself. The revitalised culture cheekily references its previous incarnations, but gives a serious injection of casual beachside cool. Yes, there are still women so heavily made up they could be wearing a kabuki mask. There are still plenty of surgical enhancements on show under cling-wrap clothing. There are still developments with cheesy names. But I’m going to have to shut down the ’80s synthesiser and put my worn Gold Coast impressions to bed, because even with all those things, or maybe because of them, the GC is a very cool place to be. QT Gold Coast – Right in the heart of the action at Surfers Paradise, QT brings its signature quirk to the Gold Coast and fits in perfectly. Bujerum Apartments Across from the beach at Burleigh Heads, these stylish holiday apartments are perfect for a longer stay and for bunking down to explore Burleigh. Jupiters Hotel & Casino – With the incredible restaurant, Kiyomi, and a sleek revamp underway, Jupiters at Broadbeach is getting a much-needed injection of style. Pacific Fair – A huge $670 million refurbishment has transformed Pacific Fair into the fourth largest shopping centre in Australia. It now sports a very resort-like new wing with public spaces and 120 more specialty shops. Etsu Izakaya – The inconspicuous entry at this Mermaid Beach eatery makes you feel like you know something everyone else doesn’t. Inside the bunker-like izakaya it’s all fun with wall murals, moody lighting and a lot of buzz. Go for some delicious, smoky morsels from the robata grill. 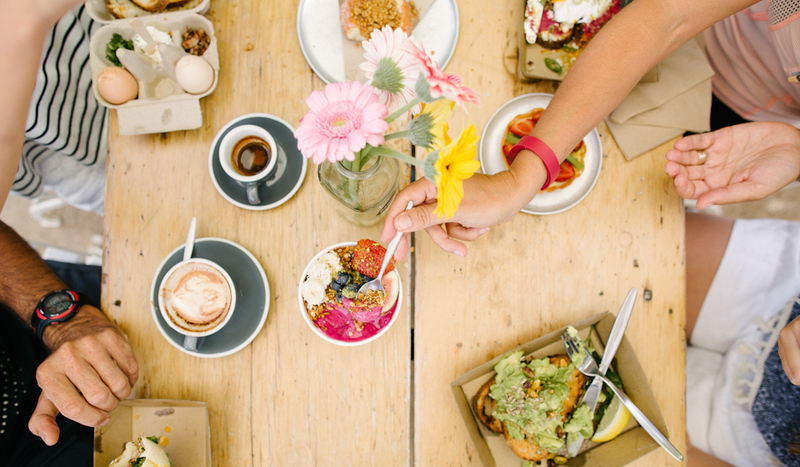 BSKT Cafe – A hit with the Lycra-wearing locals of Nobby Beach for a good reason: you can do a yoga class upstairs then head down to the cafe for a vegan, paleo or just a regular breakfast. Later in the day you can get everything from a burger to a curry and a vegan pizza.